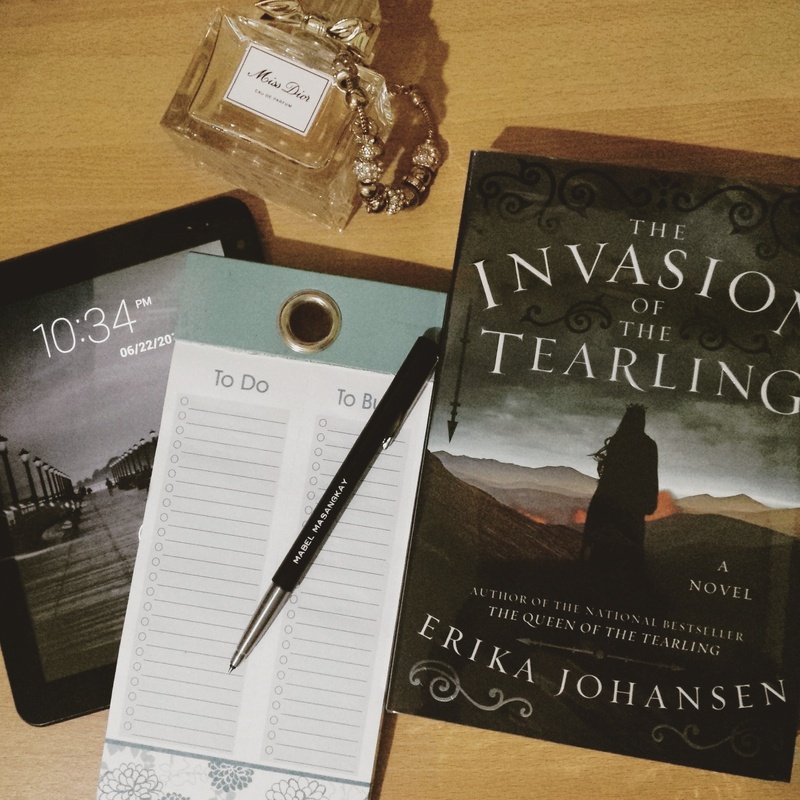 The Invasion of the Tearling is the second book in The Queen of the Tearling series by Erika Johansen. It continues the story of Kelsea Glynn, crowned queen of the Tearling, a number of centuries after the British-America Crossing. The first book (The Queen of the Tearling) did a great job in opening this multi-faceted world, packed with various forces and dimensions which play vital roles in the future of the Tear queen. We were introduced to a lot of interesting and intriguing characters. It also gave us a glimpse of how Kelsea Raleigh Glynn would be like as a ruler. In the second book, we find ourselves in the midst of the brewing war between the powerful kingdom of Mortmesne and the Tearling. Kelsea must take actions to save her people and defend their liberty. As she scrambles to gather her limited army and strengthen the treasury of the Crown to support her people, she is also on the road to discovering her true lineage and the powers that were bestowed upon her. For one, she’s engulfed in visions, memories from another woman several centuries in the past, a woman named Lily Mayhew. In this past, she tries to seek answers that might help her grim future. As she shares these visions with Lily, Kelsea soon discovers that she’s changing into someone different, not just physically but also with the powers that she yields. The Invasion of the Tearling also gives us more clues about the Mort Queen and her past. How she’s connected to Kelsea and the reasons for her unrelenting pursuit of the Tear sapphires. As Kelsea’s story progresses, her relationship with the Queen’s Guards also strengthens as she learns to completely trust them especially The Mace. 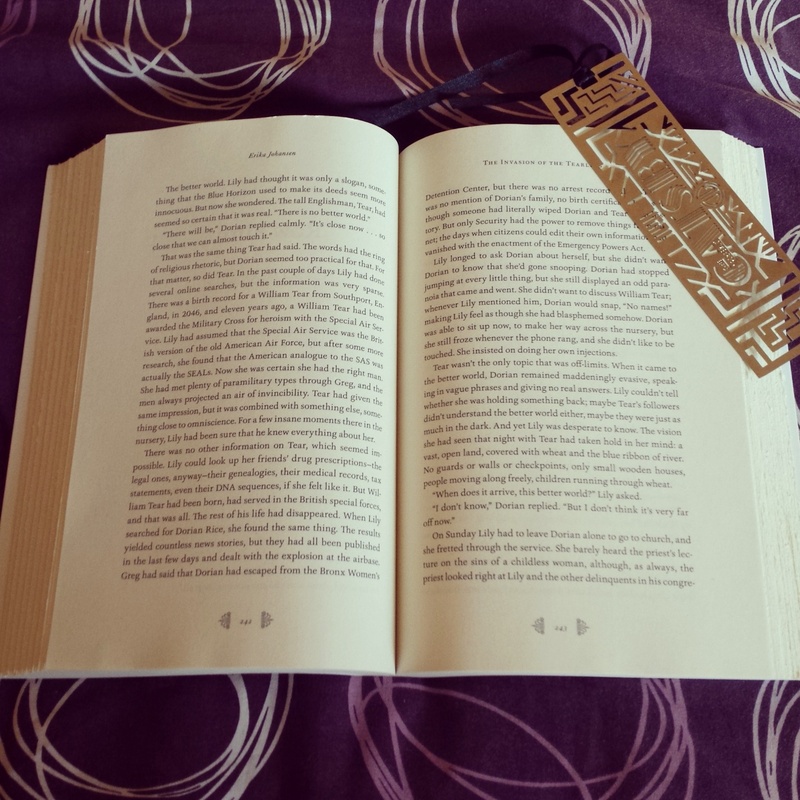 The second book succeeded in unraveling the intricate stories which lie behind every character and circumstance. It’s like watching a skilled sailor untying complicated knots. It was on point and precise. I admire how Johansen was able to weave in Kelsea’s personal struggles with her identity, love, vanity and sexual desires into this powerful and complex story. Another plus factor for me is that she’s able to incorporate many of the most pressing social issues in her novel like abuse, equality, gay rights and many others. I think it’s one of the reasons why I like her writing style. It doesn’t fall easily into any trope, and by the sound of her interview with Buzzfeed, I don’t see her writing any of those cookie-cutter types of stories in the near future. There are still a lot of mysteries to uncover, like the real identity of Kelsea’s father, who is The Fetch and what is his real intention, will the Tearling win over the Mort Queen? I really look forward to the final book, though it looks like as usual we’ll have to wait a bit longer for that. It’ll be worth it, I’m sure. As jam-packed and thrilling as The Invasion of the Tearling was, I think the last book will top it all.